Allah sent the Prophet Muhammad as his last Prophet.The Prophet’s full name is Muhammad, son of `Abdullah, son of `Abdul Muttalib, son of Hashim, son of `Abdu Manaf, of the tribe of Quraysh, from the descendants of Isma`il, of the progeny of Abraham. He was known amongst his people to be honest and trustworthy. When the Prophet Muhammad was 40 years old, Allah sent the Angel Jibreel to reveal to him the words of Allah. He faced significant difficulty in Maccah in spreading these words. He migrated to Madinah 13 years later, where he established a land that was guided and ruled by the beautiful and merciful religion of Islam. After 10 years of inviting others to Islam, he returned to Maccah triumphantly. He died 10 years after migration as a martyr and was buried in Madinah. Who was the father of the Prophet Muhammad? Who was the grandfather of the Prophet Muhammad? Who was the great grandfather of the Prophet Muhammad? The Prophet Muhammad was a descendant of which Prophet? The Prophet Muhammad was known amongst his people for two very important attributes. What were those? When the Prophet was _________ Allah sent ______________ to reveal the Qur’an to him. 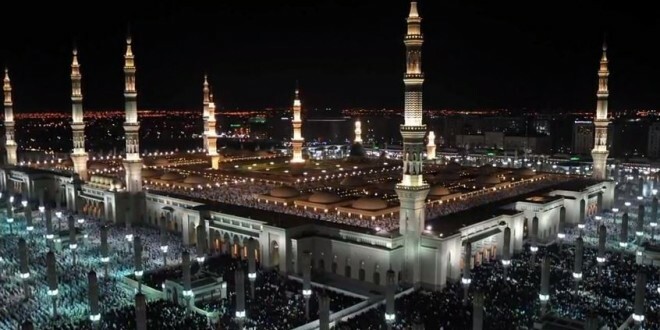 The Prophet Muhammad lived for _________ years in Makkah and _________ years in Madinah. The Prophet Muhammad was originally sent to the Arabs, but they spread their message to the whole world. Which of the statements below are correct? Prophet Muhammad was sent as mercy to all of creation. Prophet Muhammad was proud that Allah made him the best of creation.